Admit it—every time you visit a formal garden in May, or reminisce about your grandmother's luscious arrangements of peonies filling the house with fragrance—you swear you'll establish a cutting border. 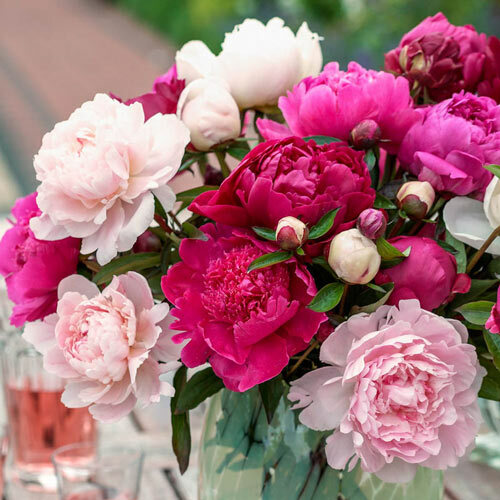 Now you can get started easily and economically with this collection of five of the most reliable, fragrant and romantic peonies ever. We tasked our breeders in Holland with suggesting the must-haves for cutting and variety of color, and this group of five has it all. 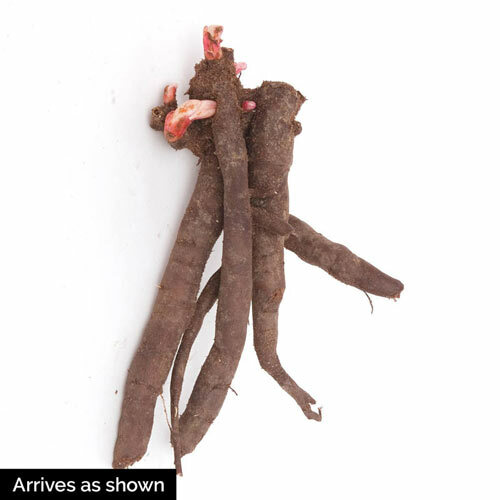 In shades from darkest red to creamy white, the ease of cultivating these proven performers will surprise you. Peonies are long lived, divide like a dream for sharing, and have glossy green foliage that supports the border for months. All these peonies ask is to be planted in a well-drained location in full sun, and they'll reward you with vases of fragrant blooms for years. 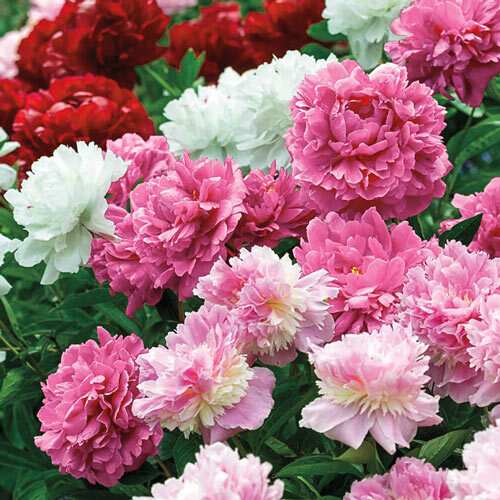 A value collection of 5 top-size peonies, it includes one each of 'Alexander Flemming', 'Sarah Bernhardt', 'Karl Rosenfield', 'Kansas', 'Duchess de Nemours'.